Life feels a bit bright today. I hung out with some friends last night and watched Doubt (I think a Friday night pizza and movie tradition is developing). Afterwards, we stayed up late talking about the future and the highs and lows associated with being out of school for the first time.. this transitory time can really teach you who you are and what's important to you! And sometimes painfully. For me, the last 18 months of being a college graduate have shaped my ideas and passions as much, if not more than, any of my schooling years. After talking last night, I'm more driven to pursue.. even if what to pursue has been a question in my mind. Today, things seem clearer than before, and I feel like I'm reforming my goals again. I've decided to start a blogging tradition.. Sewing Saturdays! 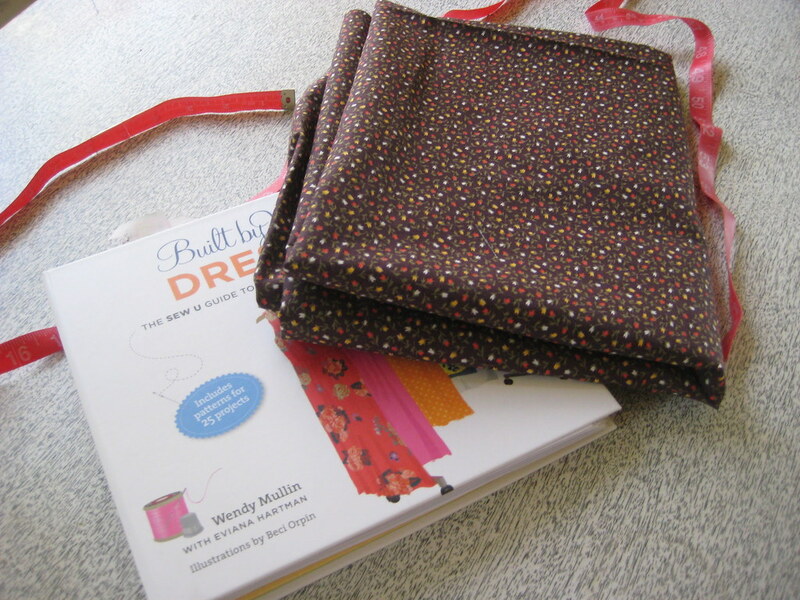 Every Saturday, I'll post about my progress with certain sewing projects I'm working on. 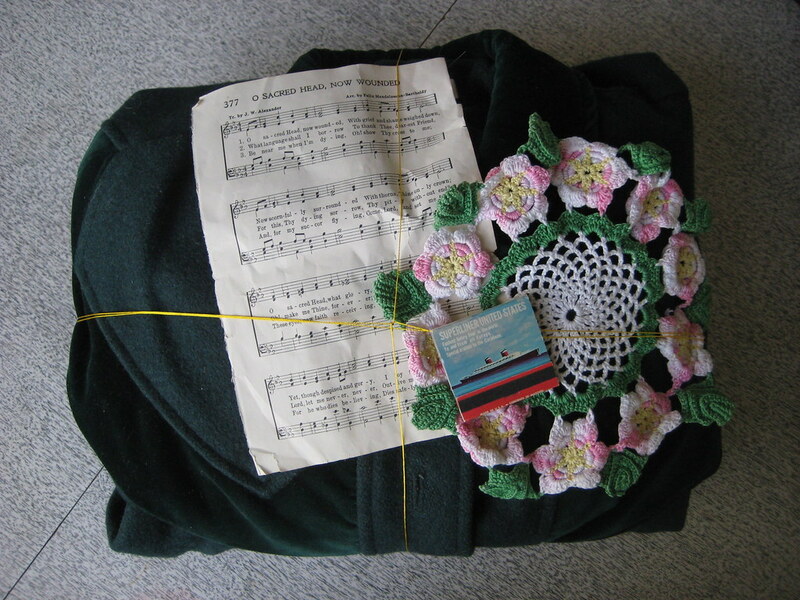 They can be tiny 30-minute activities or large affairs that will take me several weeks - the only real stipulation is sewing has to be involved somehow. I believe that if I have a set day every week to show my progress, I'll be a bit more ambitious in finishing them. So.. here it goes! For my first Sewing Saturday, I completed an easy little project. 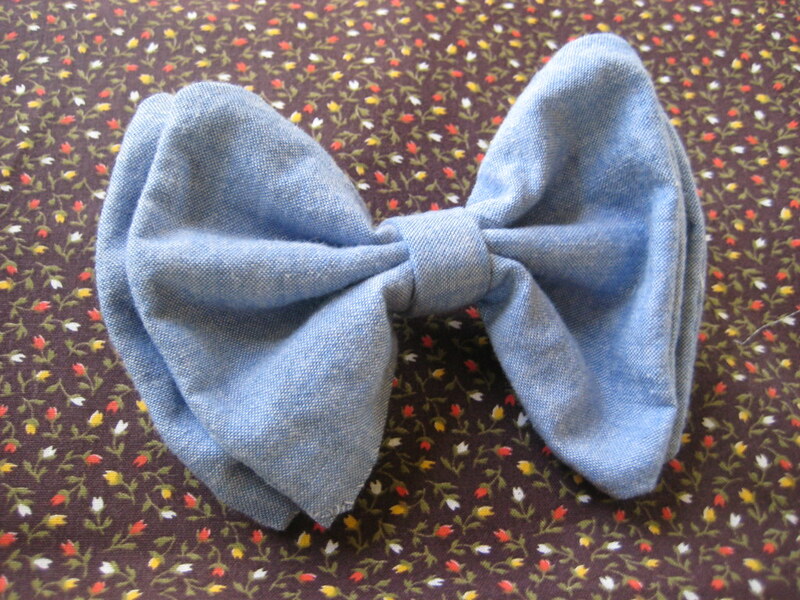 I made a chambray bow tie using some leftover fabric from a jumper I hemmed that's headed to the shop on Monday. I cut out two rectangles, sewed them with a small spot open to turn them inside out, then sewed them shut by hand when they were on the reverse. 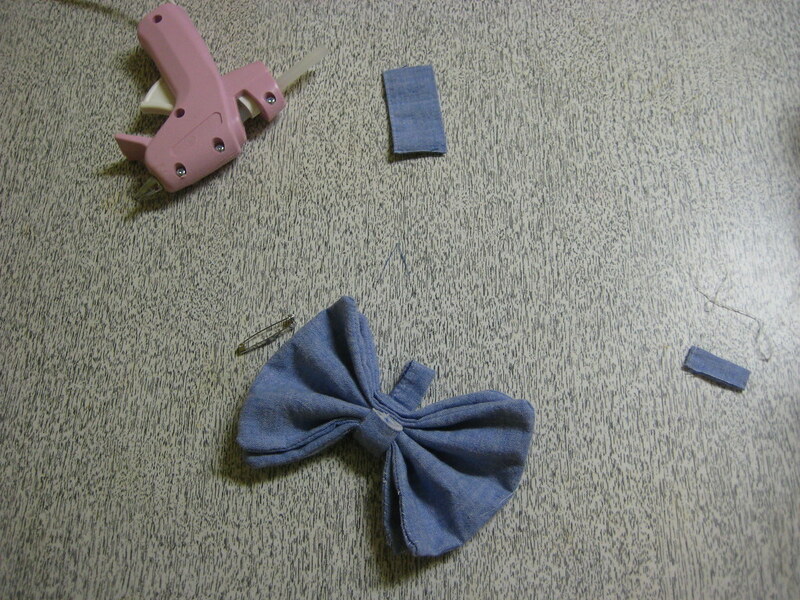 I used a scrap part of the chambray jumper's hem to serve as the middle part of the bow. Then, I glued it all together and secured it to a pin in the back. Simple as that. 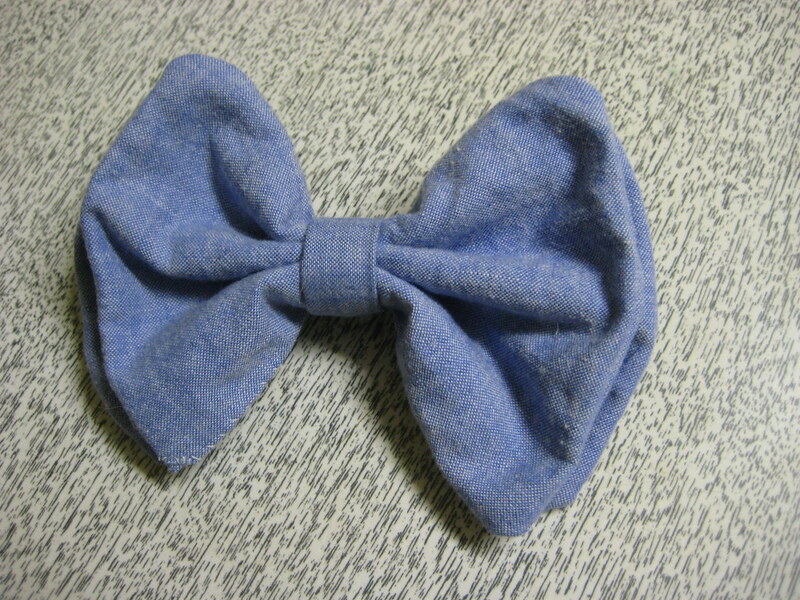 This bow tie is headed in a certain friend's direction, although I might make one for my shop. And then one for myself. While the chambray bow tie was a quick and simple project, I'm looking for something more ambitious for the next few Sewing Saturdays.. my first handmade dress! I found this vintage liberty print fabric at a flea market last October. 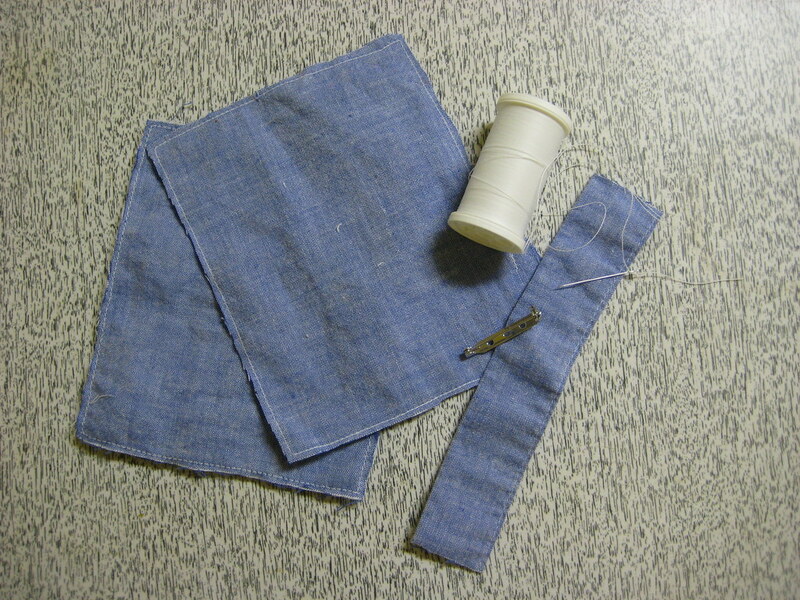 I measured it out yesterday and it's two yards, which is exactly what I need. The problem now is choosing a pattern. I've narrowed it down to these three.. which one do you guys like best? 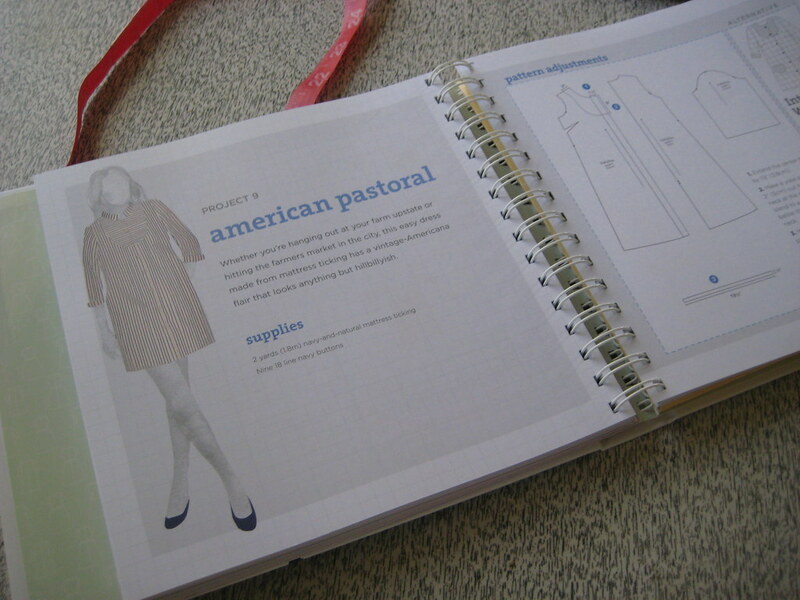 My favorite is probably American Pastoral.. I'm just worried about how the dress will turn out since I'm not using a striped fabric. 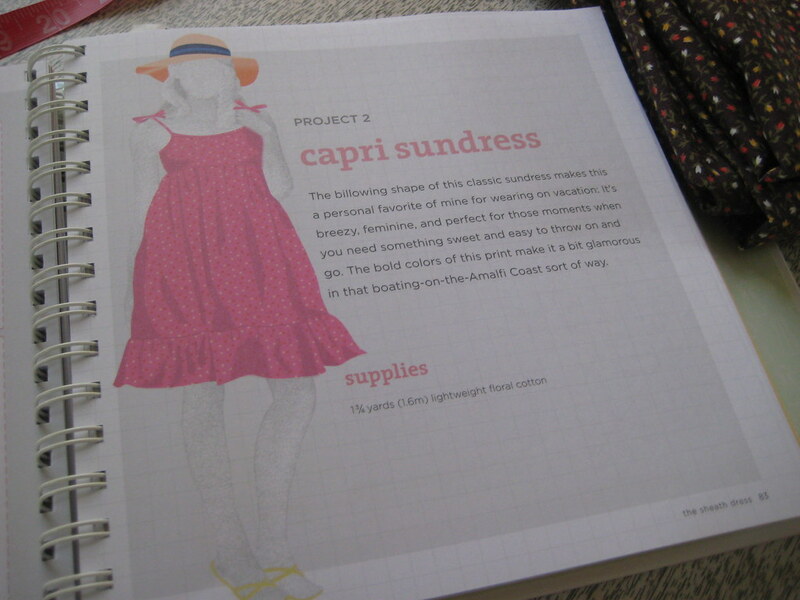 I like the Capri Sundress because it seems the easiest to me. 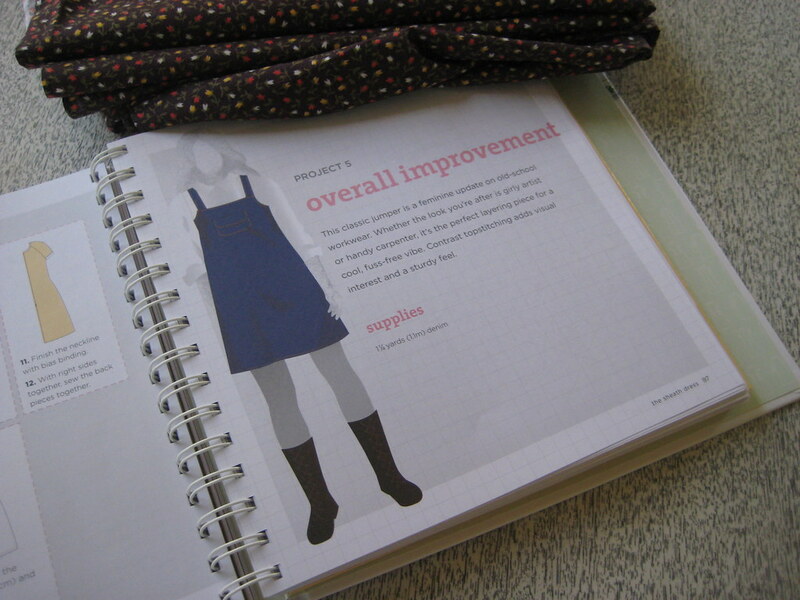 And the Overall Improvement jumper is really cute, especially when you use a variation they offer in the book, which excludes the pocket in the front and replaces it with a peter pan collar at the neckline. I need help deciding. And on another note.. I received a package from Meaghan a day or so ago! We completed an Etsy trade, and I got this lovely velvet trimmed wool coat. I'm wearing it as we speak. Receiving things in the mail is such a great feeling, and emails are nothing compared to hand written notes. Thanks, Meaghan! etsy shop update! denim rompers and lace onesies. a handmade swiss dot romper!